Greetings Sir Knights of our Valley…. We would like to start by giving a round of applause to our fellow Knights Jeff Hansen, Laurentiu Murgu, Jeffory Toone, Leopoldo Ornelas, TJ Jackson and Naresh Rampershad who were Knighted as Active members of the Knights of Saint Andrew at our July KSA meeting. Congrats Sir Knights and thank you for serving our order and Valley! We had a great night handling some business, the Knighting and of course enjoying some tasty food. See some pictures elsewhere in the Rite Word. 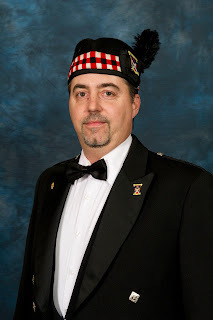 The Knights and members will be attending the Scottish Highland games in Pleasanton on Sept 5th. We were behind on planning this one which was my fault but a good time will be had and the next Chief Knight will benefit from lessons learned in planning this great event. A full report will accompany our next Rite article. Thank you to the four Officer bodies for their support. 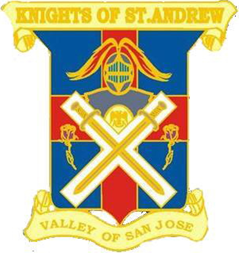 The Knights would also like to thank Sir Knight Laurentiu Murgu for revamping the Valley’s web site and particularly creating our KSA web page, please check it out. This is a huge step for us, thank you Brother! Our second event to mark your calendars down for will be our November 21st Cabaret themed Dinner and Magic show featuring the mystical talents of “Hank the Magician.” The cost for the evening will be only $25 per person and will include an incredible dinner, dancing and Magic! Due to the sophistication of the magic tricks, this show is for adults only. More information and flyer to come in the next article, as well as announcement at our next Scottish Rite Stated meeting. Attire will be tux or Black suits, dresses for the ladies. Friends and families welcome! Please RSVP with me or the SR Office. The Knights will be perfecting our Knight of the First Order ceremony on Sept 1st. This Knighting is an elevation Knighting for KSA members and honorary members who have shown dedication to our order. This was created by our own Martin Maxey and is definitely something to see. 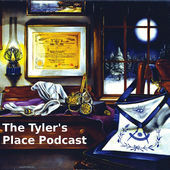 We will announce our next ceremony at the Stated meeting. We are hoping to take this ceremony on the road and perform it for other Valleys. We hope you will join us. Thank all of you for supporting the KSA and let us know how we can better serve YOU! Thank you.